In 1945 my parents, my newborn brother, Alfredo, and I moved to Sargento Llagas Street. My parents wanted a house near the beach so we could live a healthy lifestyle, which was very important to them. We were lucky enough to move to Playa Chica where only those of us who lived there stayed during the winter, even though in the summer other people came, for example the Marreros. In the 1940’s there were three beach umbrellas on Playa Chica: the Naranjo’s was blue and as big as a tent, the Correa Beningfield’s was white with a blue stripe, and ours was green and white. There was no promenade to get to the beach, so we had to walk down a track. There was an enormous building plot where the Gran Canaria Hotel used to be. Eventually, Mr. Saturnino Báez’s two-storey house was expropriated to build the promenade steps. Obviously, I went to the Viera y Clavijo girls’ school, where there were many girls from the area. The school was a really big house near to what used to be the Gran Canaria Hotel, which was great for me because I could walk there in two minutes. The school had two entrances from Las Canteras and one from Nicolás Estévanez Street. My parents were friends with Mr. Pedro Cullen and his wife. Mr. Pedro Cullen and Mr. Juan Melián were partners and head-teachers of the Viera y Clavijo School, so my parents talked to Mr. Cullen and I began studying there. Parents didn’t use to visit the school all the time like they do nowadays, so if they did come to the school, we knew that there was a problem, so we were worried and used to say that “there was a storm in the Bay of Biscay”. I have very fond memories of my school days. One of our teachers, Mrs. Carmen Ojeda, taught us to write numbers in boxes and to keep our notepads clean and tidy, a useful thing for sixth-formers. Our teachers were wonderful, most of them were professors. We used to spend break-times where the Gran Canaria Hotel was later built, and if the tide was out we used to go to Playa Chica. We practised sport on the roof wearing uniforms and smocks because we did not have a PE kit. We called our teachers Sir, while they called us Miss and I don’t think this shocked anybody. We had classes in the mornings and in the afternoons but on Saturdays we only had them in the mornings. Every fifteen days we received our marks; ones and zeros were written in letters as opposed to numbers to avoid pupils changing them to 10. Summer was the best. We used to jump from the Marrero Wall into the sea during the high tides that mark the beginning of September. We couldn’t go out on to the promenade without a beach robe. We tried to persuade Cabo Marrero and he said understandingly that he would go to the spa and didn’t want to know anything about it. That was when we raced out. There was not as much sand as today, so we had to wait for the big waves to come so that we could jump in; I still have photos of this time. 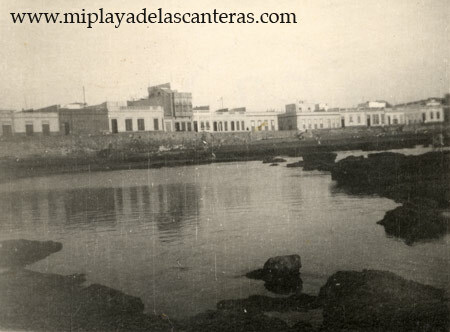 Once there was a very high tide that washed all the sand away, so sand was brought from Los Arenales, further inland, which today is the end of the street called Mesa y López. However, this sand contained cactus thorns, which were painful if you stood on them and they pierced your skin. And the worst thing was that they were in clusters so if you sat on them you would get a shock. We used to enjoy playing a traditional game of throwing large nails in the sand, and I still keep some of those nails today, because they bring back memories of my beach days. We also enjoyed skipping and playing hop scotch. The school closed in the summer and the girls who had failed had to go to Viera y Clavijo Boys’ School, which became a mixed school in the summer. The school faced the avenue and Alfredo L. Jones Street and was next to what nowadays is the Reina Isabel Hotel. The girls’ school became a summer home for Mr.Pedro Cullen and the Olarte Cullen family. I didn’t like Latin at all so I failed it, and I had to attend the short course. Matías Díaz Padrón, who is now very high up in the Museo del Prado, attended the short course as well. We called him “the painter” because as soon as he had some free time he took his paper and his pencil and drew pictures of Christ with his crown of thorns, his hair on one side of his face and the drops of blood. He nearly always drew faces and they were very well done; I think he was from the island of El Hierro. I always saw him drawing pictures of Christ. 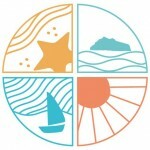 Next article The Shores of Las Canteras.